If you’re one of the two million people suffering with persistent, stabbing heel pain of plantar fasciitis, know there is help. At Abington and Fort Washington, Pennsylvania offices of Comprehensive Foot Care Associates, Dr. Ronald J. Small offers advanced diagnostics and treatment of plantar fasciitis to ensure you can stay active and walk without pain. Schedule a consultation online or by phone to learn more about available treatments, including surgery, to alleviate plantar fasciitis pain. Plantar fasciitis is an inflammation of the fibrous band of tissue, the plantar fascia, that connects your heel bone to your toes. This inflammation is the common cause of heel pain and can make it difficult for you to remain active. The plantar fascia absorbs the shocks in your heel and supports the arch of your foot when you move. If stress on this band of tissue becomes too much, the fascia can tear, leading to irritation and inflammation. Plantar fasciitis pain usually feels like a stabbing sensation at the bottom of your foot, near your heel. Pain is often worse in the morning when you just wake up or after long periods of standing. When you change the way you walk to avoid this heel pain, you can develop pain in other areas of your body, including your foot, hip, and back. Initially, Dr. Small may treat your pain with over-the-counter pain relievers and anti-inflammatories. If you continue to have difficulty walking, he may suggest physical therapy exercises to stretch the plantar fascia and strengthen muscles in your lower leg to give better support to your foot and ankle. A splint you wear at night may also help you stretch your calf muscles while you sleep to prevent pain. For additional support, Dr. Small may recommend custom orthotics to ensure your weight and the pressure on your foot is equally distributed. 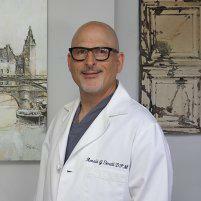 Dr. Small offers the noninvasive MLS® laser therapy to repair injuries and immediately improve your pain and swelling. When these nonsurgical therapies aren’t effective in treating your condition, Dr. Small can perform surgery to remove the plantar fascia from your heel bone. This type of surgery is typically a last-resort option. Can lifestyle changes prevent plantar fasciitis pain? To learn more about treating the pain of plantar fasciitis, schedule an appointment with Dr. Small using the online booking feature or calling the office.